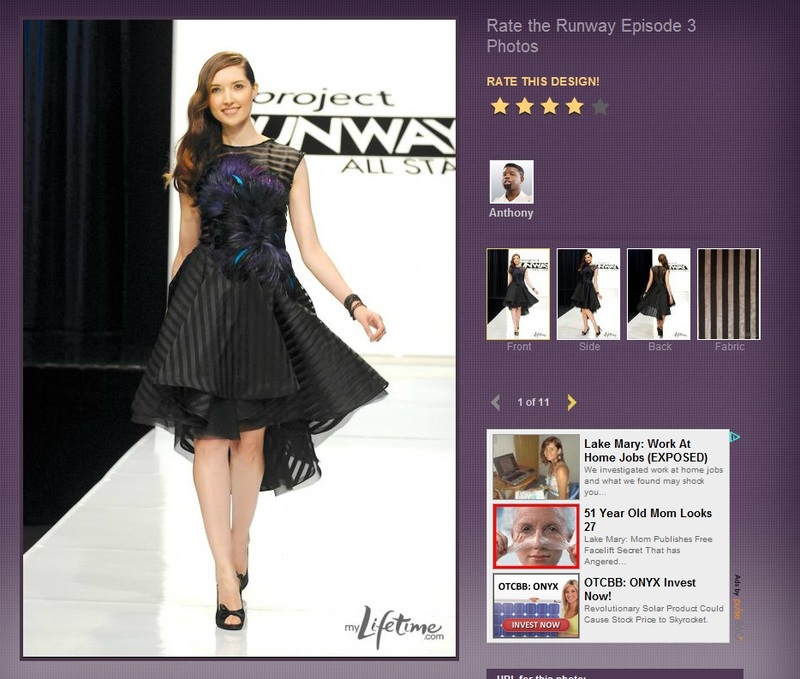 Did you see the most recent Project Runway All Stars? The designers had to create a cocktail dress, appropriate for Ms. Piggy, from the Muppets! Can’t say I remember seeing a challenge like this on Project Runway. I’m afraid this week’s favorites list is a bit short; I just wasn’t feeling a lot of the dresses I guess. Anthony’s dress was probably my favorite dress of the week. Could it translate into something loud and in your face like normal Ms. Piggy wear? Probably not as well as some of the other designers dresses, but it would be fun to wear! The only other dress I really liked was Gordana’s. It was so soft and beautiful, like a very girly and airy cloud. Probably not THE dress to wear when on the red carpet promoting your new movie, but still pretty. As far as some of the other looks, you couldn’t get me to even try on most of those fluffy bright dresses. Just not my style I suppose. But, the costume feel they gave off were perfect for the challenge of dressing a Muppet. I know this episode doubled as a promotional thing for the Muppets movie, but I want to know what they did to bribe all of those adults to act like they loved talking to a stuffed animal. They were WAY too excited for grown adults to see a Muppet. I hope this week’s episode will be better, at least I hope so! Also, I miss Isaac! Hopefully he will be back!